Canadian employers are expected to offer group insurance to their members or employees and their family members. While there are several insurance companies in Canada, you need an affordable and robust coverage for your employees. RSA group travel insurance is an excellent option for you as it offers valuable non-medical travel benefits and also multi-trip annual medical coverage. 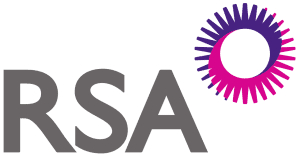 RSA group travel insurance targets unions, and associations with more than 25 participants who need comprehensive medical and non-medical travel benefits for their employees and their dependents. The coverage involves two plans: the plus plan and the advantage plan. The plus plan includes benefits like paramedical services, medical evacuation, treatment of dental accidents, the return of deceased, return of vehicles, ambulance services, to mention a few. The advantage plan includes baggage insurance, trip cancellation, medical referral, child care, lot prescriptions, business expenses, to mention a few. The RSA group travel insurance allows partners the choice of 30, 60, 90 or 120 consecutive days in trip durations. It offers an affordable rate for individual and family coverage. Furthermore, it provides monthly premium collection based on the number of eligible employees. For clients, the plan does not require a medical questionnaire but includes automatic annual renewal, easy top-up coverage for longer trip approvals and so forth. The plan is designed for Canadian employers, unions and associations to offer excellent multi-trip annual medical and non-medical travel benefit for their employees and their family. It includes two coverage plans, namely, the plus plan and the advantage plan. The plus plan provides up to $5 million of comprehensive emergency medical travel insurance that provides protection when you travel outside your province or Canada. The plus plan also includes benefits like paramedical services, diagnostic services, prescription drugs, medical evacuation, the return of vehicles, return of deceased etc. The advantage plan offers additional benefits like child care, lost prescriptions, private room hospital accommodation, business expenses, alternate transportation, baggage insurance etc. Partners can benefit by choosing trip durations of 30, 60, 90, 120 consecutive days, affordable rates for individual and their family, a monthly premium collection based on the number of eligible employees and so forth. The plan does not require any medical questionnaire for clients. It has monthly payment option, automatic annual renewal, and also a worldwide emergency assistance hotline that can be assessed 24/7. Ask your Broker about RSA Viator Group Travel Insurance Quotes and Compare!